You want to make sure you get the greatest value for your money. It should last you and you should be able to depend on it. 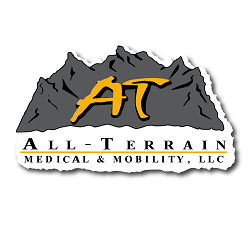 That is why at All-Terrain Medical and Mobility we only selects the best brands on the market for you to choose from. Free Shipping on ALL of our Mobility Scooters. Big Selection of Electric Mobility Scooters. Call, or order online with our friendly customer service staff. We carry Afikim Electric Mobility Scooters, Shoprider Scooters, EV Rider Scooters, E-Wheels Scooters, Heartway Scooters, Zipr Scooters, Pacesaver Scooters and Zappy's. We also carry the parts for all these scooter, so you are never lost when something happens. We are here to help. Please feel free to call if you do not see what you need (877) 255 8371.